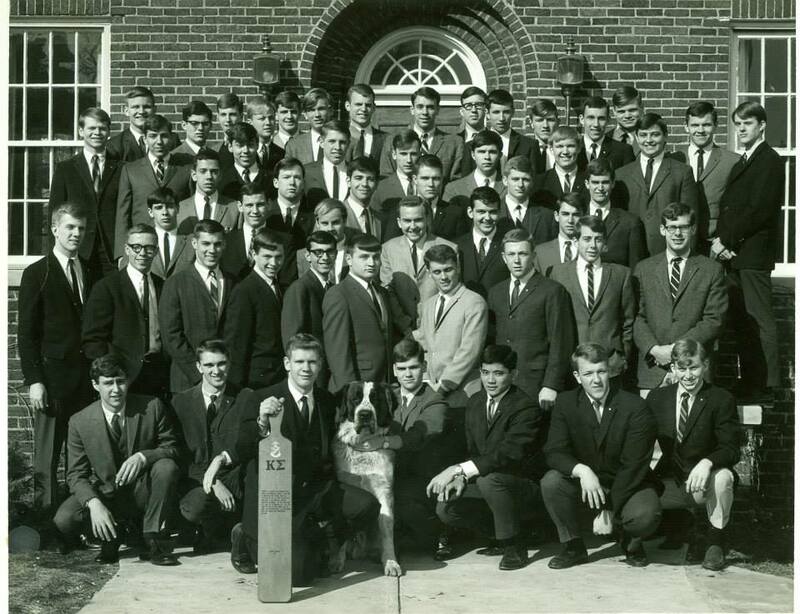 Fifty years ago, the large group of young men you see in this photo were all hoping and working hard to become official "pledges" of Purdue's Chi Chapter of Kappa Sigma fraternity. They were the best group of guys I have ever had the honor and privilege to be a part of. We were united back then by our common bond to Kappa Sigma and to each other. Those bonds have stayed tight for the past 50 years and will undoubtedly remain a defining part of who we were together back then and now. All of the men in this group left Purdue and went on to illustrious and important careers and each of them created a Family that will carry their legacy forever into the future. We all shared so many great times together back in the mid-60's Oh, the stories we can tell (and often do)! Many of us have kept in contact over the years. Facebook, in particular has helped some of us stay in better contact. We can count a dozen of these men as our Facebook Friends and one of them, Roger Mayes, actually lives in Idaho Falls. We visit with Roger often each year and deeply appreciate our Kappa Sigma Times together. This fall of 2016 most of the 1966 Kappa Sigma Pledge Class will be coming together once again for a 50 year Reunion at Purdue in West Lafayette, Indiana. Other Pledge Classes will join the gala festivities. It promises to be a historic occasion the likes of which happen only once in a life time. Reunion Organizer Frank Caputo has gone totally over the top in attending to every detail of this upcoming Special Time. We would dearly love to attend this unique and memorable event. However, we will not be attending. Why? How can this be? Well, it's certainly has nothing to do with my Kappa Sigma Brothers. I am a Life Member of the Kappa Sigma Alumni Association and will forever cherish my time with the men you see here. We are Brothers for Life. No, the fact that I won't be going to the Reunion has everything to do with my Home Town, Lafayette, Indiana. I was born and raised in Lafayette. It was a natural thing to cross The Wabash River to attend Purdue. However, there are too many memories and places I don't want to see again there. When my Mom died in December 2011, I faced arguably a series of the most difficult chores and trials of my life in dealing with her Internment and Estate. It was easily the longest and most difficult six week time period of my Life. Many of the events and dubious milestones of that time period are already chronicled here on this blog. I do not wish to rehash them in this post. When I was finally able to break free from those times, I decided I was never going back to Lafayette again, As my plane winged its way over Tippecanoe County heading West to Arizona, I breathed the deepest sign of relief I have ever felt. I gave heartfelt Thanks to God that I had experienced my Last of Lafayette. There's simply no way I am ever going back to that place...at least in this lifetime. And so, as much as I Dearly wish I could visit with my Brothers you see here, I can't go back. It would be far too painful for me and the mere thought to once again setting foot in Lafayette makes me very ill-at-ease. Frank has been very insistent that I attend this event and has become perturbed that I haven't replied to his entreaties. Well, Frank, it's difficult for me to even address these realities. I have had numerous nightmares even while trying to think of a way to explain. I know Frank won't understand or accept any of what I have written here about my Home Town. And that's OK. I am the one who has to walk in my shoes and live in my skin. I really can't write any more about this than what I have here. I'm sorry and I apologize. Please at least attempt to understand. Thank You. God Bless Kappa Sigma and may God's Grace be with my Brothers Forever! John: I read this story and completely understand. After following you through your Mom's death and then going through the decline and subsequent death of my own Mom in 2015 I can totally relate. I spent a week just in March 2015 unloading the remainder of her estate, which occupied the space of a small two car garage. It was almost shocking how little it was worth at auction, and how much she had accumulated over the years that she wouldn't give up in a timely fashion when it could have been used or enjoyed by others, or could have helped support her in foreign travel she loved to do. Like you, I have fond memories of my time in my hometown, and even more grateful I didn't go to college there. Unlike you, it hasn't been so painful for me to return as I still have friends there, though I have never understood why they stayed. You are loved and you can send your hellos on to the group. In fact, you might consider writing them something and enclosing a current photo or photos of where your life has taken you. 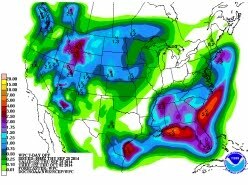 They Fraternity brothers would probably like that very much.